We are dealing Steel Rolling Mill Stand (B"lo 3D") for the rolling of wire rods/ TMT/ light medium heavy sections steel up To 50 MT per hour production of ferrous and non Ferrous metals. - Minimum maintenance and down time. We are mainly looking for export queries. 2-high / 3-high / 4-high mill heavy duty cast iron/steel fabricated top closed/open type with fibre bearing / rolling bearing system and its complete fittings with base plates range: 180 mm to 550 mm. We are a remarkable entity, engaged in manufacturing a qualitative array of Shaftless Electric Mill Roll Stand. 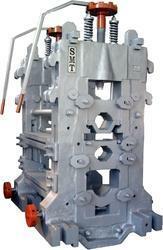 Kathuria Rollmill Private Limited is the Manufacturer and Supplier of Rolling Mill Stand. Customers can provide their specifications to us in regards to the packaging of the products as we serve customized packaging requirements. We ensure damage-free products at customer's end. Customers' satisfaction is our utmost priority and thus, we deliver only certified array of products to them. 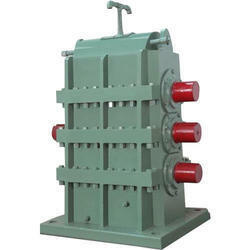 We are leading manufacturer and supplier of Bearing Type Mill Stand.